How would you get the system name of a partition via a SQL statement? In a CL program this is simple as I can retrieve the system name using the Retrieve Network Attributes command, RTVNETA. So how to get the same information using SQL? This all started with what was going to be a very short post about using an Environment Variable to set the width of your debug screen. But I became curious and by the time I finished playing with them this grew into how to create your own Environment Variables, and use them. Let me start with the question: What is an Environment Variable? System – these Environment Variables are stored in the global environment space and are available to all jobs running on this IBM i system, and are persistent even when the system is IPL-ed. Job – the variables are outside the program's space, and are job specific, when the job ends they are automatically deleted. I have written before about retrieving data from a XML file in the IFS. In that example I took that data from the file into a XML column in a DDL (SQL) table and then processed it from there. Since I published the example I have received two messages, one from Birgitta Hauser and another from Jan Koefoed-Nielsen, giving me examples of how to retrieve the data from the file and format it into columns, not using a DDL table as an interim step. 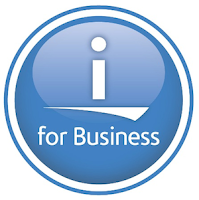 In this example I will not be directly outputting the information from the IFS XML file directly into an output file or table in IBM i. My experience of receiving XML files makes me want to validate what I am sent, before I start updating production files. A comma in a number, currency symbols, characters in what should be numeric value, and untranslatable characters should all be handled before updating any file. To this end I will be retrieving the data from the XML file and putting it into a data structure array. I can then "read" the array and perform any validations I want. Video featuring Steve Will, chief architect of IBM i, and Alison Butterill, product offering manager for IBM i, showing ways IBM i clients have innovated over the past 30 years. Runs just over 1 hour. Hosted by HelpSystems, recorded July 18, 2018. When I first started programming on the AS400 the biggest improvement I encountered, compared to the System/36, was the external database. No longer did I have to have file specifications in my RPG programs, and I now had the ability to define fields by referencing another. Over the years I have used the referencing ability whenever I can had to define fields in files or variables in my RPG programs. By using reference fields makes database changes easier as a field's definition is changed in one place, then by recompiling all of the objects with the referencing, the new objects all have the new definition of the field in them. In the past fortnight I have been asked several times about using reference fields, and in my experience there are many more who would like to ask the same question but feel intimated to do so. Therefore, I am writing this post to give examples of how I use them and why I do things the way I do. All well-built databases have a data dictionary that defines the types of all the fields, or columns, within it. On AS400 and IBM i many of us achieved something similar using a reference file. This file contains the definition of every type of field that could be contained in any of the other files in the application. The awaited announcement of new Technical Refreshes for IBM i 7.3, TR5, and 7.2, TR9, has been made. So what's new? On the hardware side is the announcement of the Power9 chip based IBM Power E980 model 9080-M9S server. I am not going to list all the changes on the software side just those that catch my eye at first glance. In previous posts I have shown how to write SQL data to a file in the IFS and then how to retrieve the XML data from an IFS file, but what about just plain old text? In this post I am going to keep the example as simple as possible so that you can see how easy this is. I am going to write three strings of data, "records", to an IFS file, retrieve the data from the file, then move each the "record" into an array. Some of what I am describing here I have also mentioned in my earlier posts, but I think it is valuable to have it in here too. My example program is only 32 lines, which goes to show easy this is. All the hard work is performed by Db2 for i.